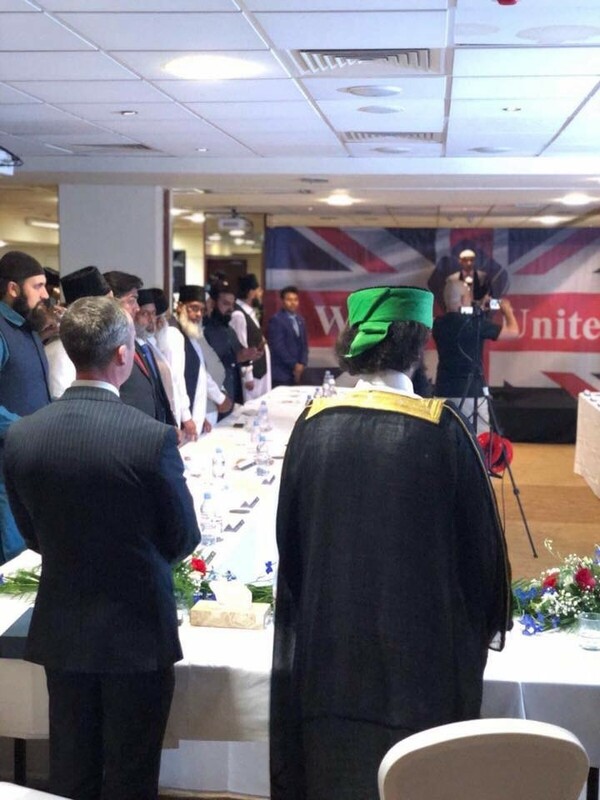 The Ramadhan Foundation in partnership with the Sufi Shrine of Eidgah Sharif based in Rawalpindi Pakistan recently held a Counter Terrorism Conference in Manchester on Thursday 12th July 2018. It was an opportunity to remember the victims of the Manchester Arena terrorist attack and pay tribute to the emergency services who helped on that dreadful night. 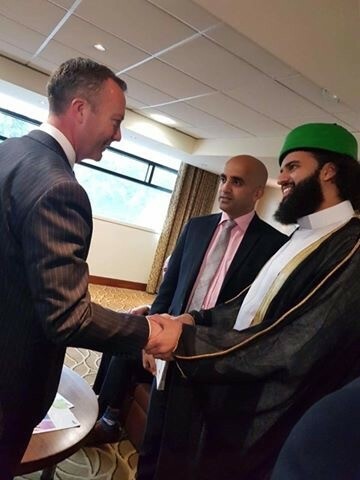 This was the second Counter Terrorism Conference held in Manchester and marked a moment to reflect, mourn and re commit ourselves to standing up against terrorism. His Excellency Shaykh Hassan Haseeb Ur Rehman has led the global response to terrorism through his lectures across the world. He has gone to the border of Afghanistan and Pakistan to denounce terrorism, their ideology of violence, those that support them financially and those that remain silent. His lectures are viewed by millions and he has inspired young Muslims away from terrorism and extremism to a life of tolerance and peace. 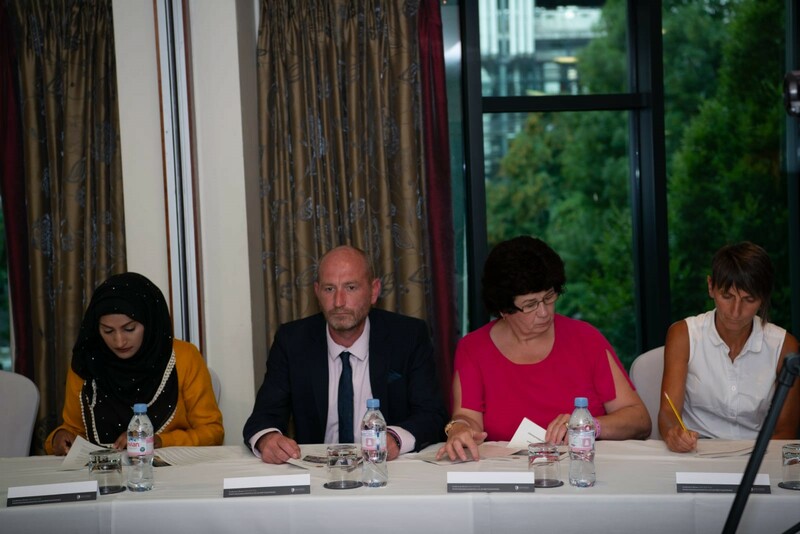 We were deeply honoured to welcome the Father and Grandmother of Manchester Arena Attack Olivia Campbell Hardy, Andrew Hardy and Sharon Hardy to participate in the Conference and give them an opportunity to see how much love and support there is in the Muslim community for the victims and their families. Her Grandmother addressed the Conference and urged people to replace hate with love. The Assistant Chief Constable of Greater Manchester Police Russ Jackson who is also the Head of NW Counter Terrorism Unit updated the Conference on the work to bring justice for the victims of the Arena attack and how Greater Manchester Police are leading the fight against hate crimes. 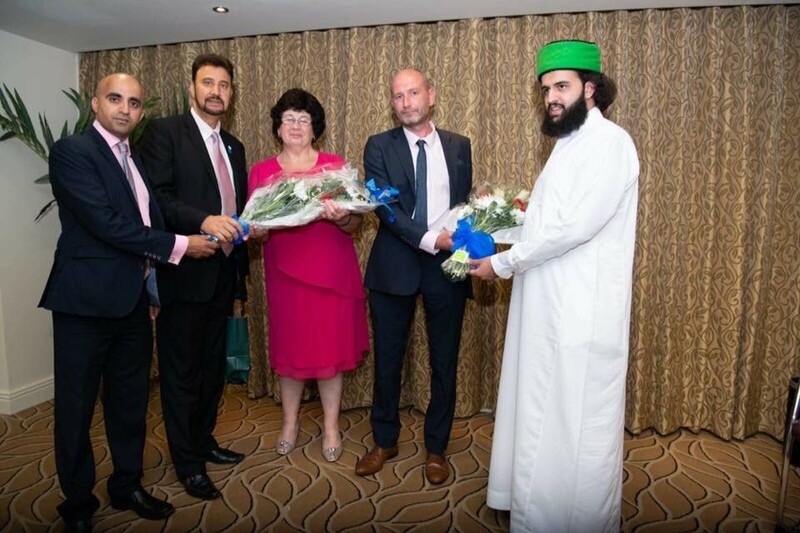 The Chief Executive of the Ramadhan Foundation Mr Mohammed Shafiq during his formal address offered his support for the families of the victims and reaffirmed Islam’s total opposition of terrorism and termed the terrorists as “enemies of Islam and Muslims”. The Shadow Home Office Minister Afzal Khan MP addressed the Conference and talked about the resilience of the City of Manchester and the strength of our diversity. The prominent Rabbi and leader of the Jewish Community, Rabbi Warren Elf addressed the Conference and prayed for peace and called for Muslims and Jews to stand together against hate crimes. 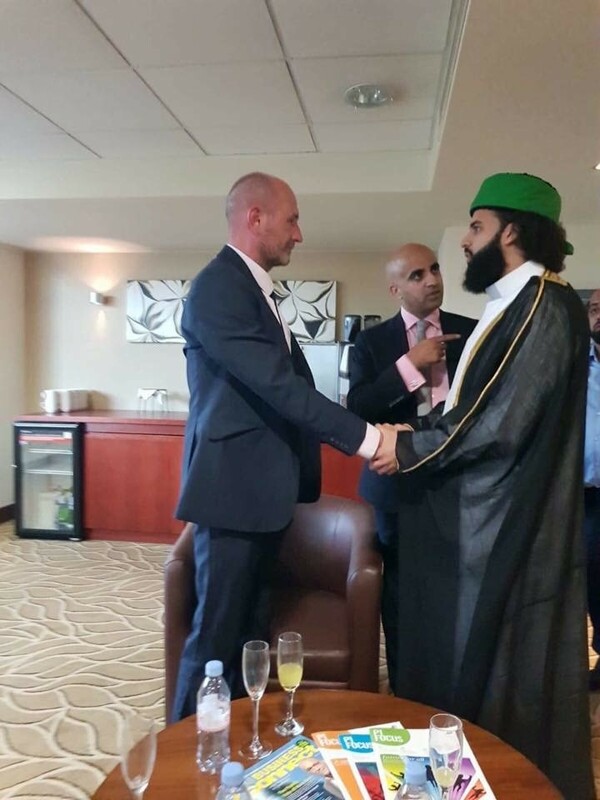 The Bishop of Salford and Leader of the Roman Catholic Church Bishop John Arnold offered the Church’s support for the Conference and said our communities are against terrorism, hate and division. 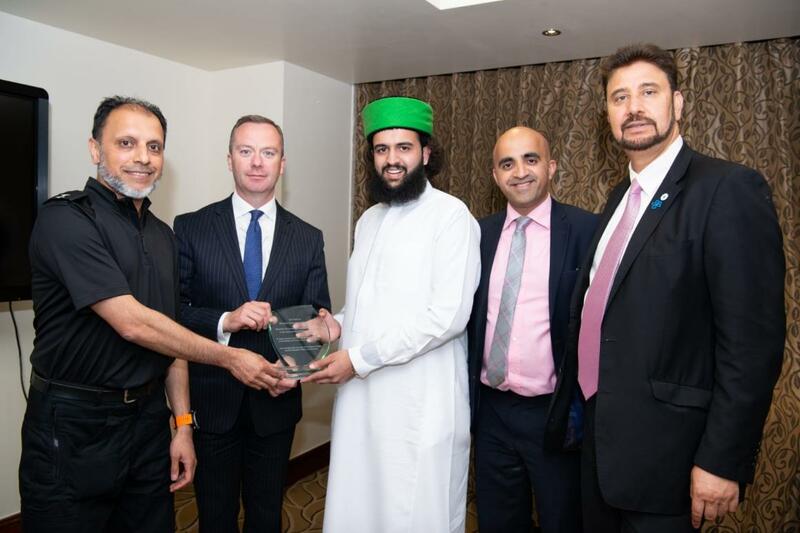 Shaykh Hassan Haseeb ur Rehman and Mohammed Shafiq presented a special award to Russ Jackson of GMP in recognition of the work the emergency services did on that dreadful night and since to keep us safe. “This Counter Terrorism Conference in Manchester is an opportunity to remember the victims and their families. Terrorism is an evil crime and we affirmed our support for the Police and authorities to keep our country safe. 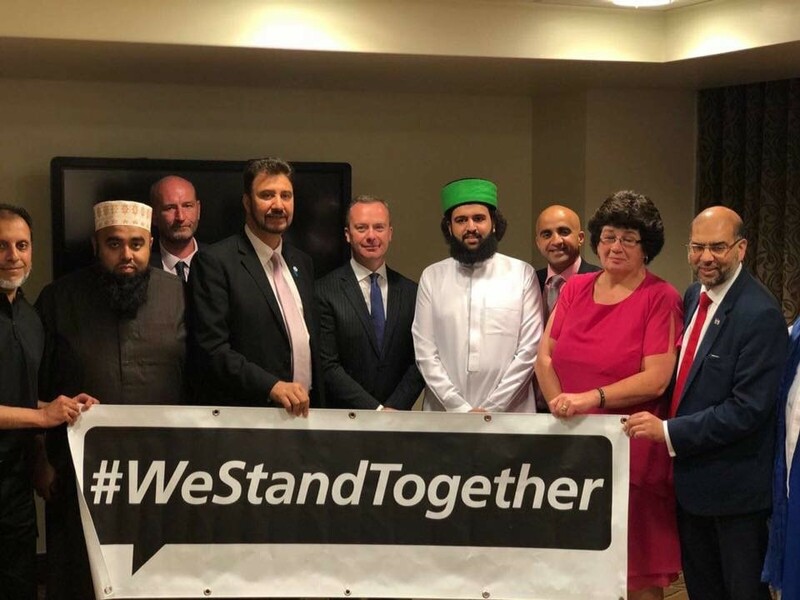 We stand against terrorism but we also stand against hate crimes directed at any community and there should be no doubt that we are stronger together. 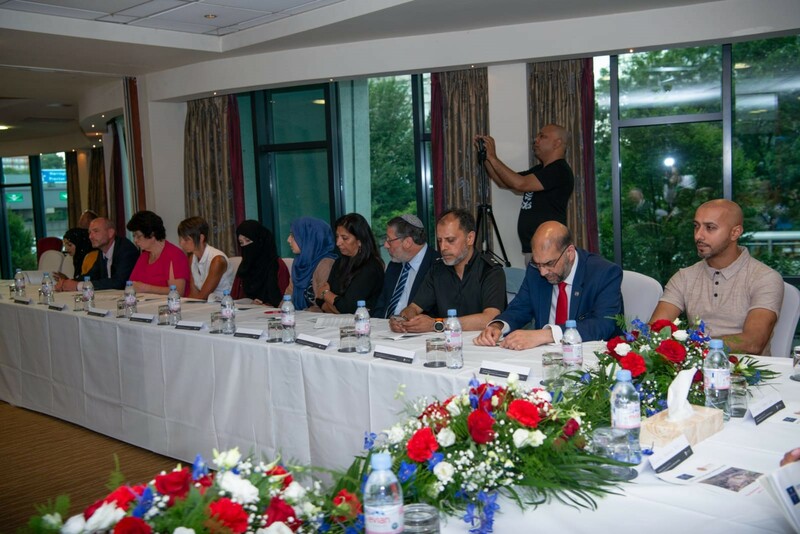 The Conference heard from politicians, faith leaders and speakers who spoke on the threat of terrorism and the rising of hate crimes.